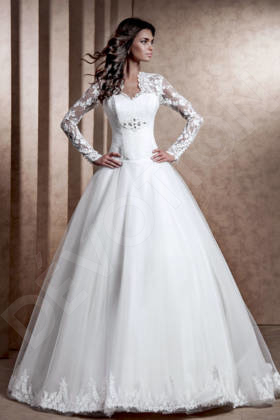 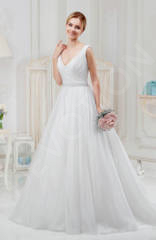 This magnificent wedding gown is the perfect blend of English tradition and present day style. Its simple cut is subtle yet elegant, and the V-shaped neckline accentuates your perfect figure. 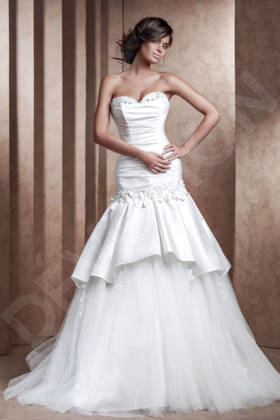 The asymmetrical draping accentuates all the right places, and the voluminous skirt with a small train is majestic yet light. 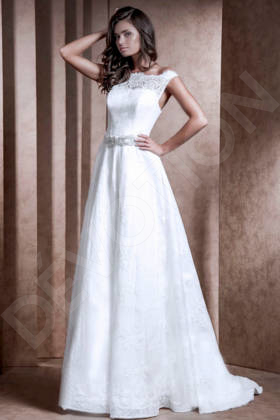 Stun everyone with this perfect choice, and make your way down the aisle looking like a heroine of a romantic novel.